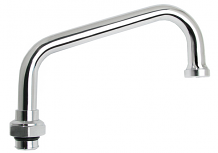 COMM DOUBLE JOINTED SPOUT 24"
T&S Brass is a manufacturer of faucets for the commercial food service, pet care, and laboratory markets. Equiparts carries spouts for T&S Brass faucets. 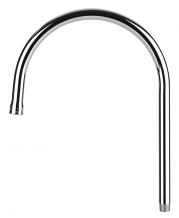 Our selection includes T&S swing spouts, gooseneck threaded end spouts, double-jointed spouts & more.